First read what the official line says, then read what the unofficial line is. I am loath to comment at all except the organ game in China has been common knowledge and not likely invented at all. Otherwise, I find the body factory a little over the top and implausible. Whatever is happening, the upcoming transition of power is extremely important to not just China but also the rest of us. The potential for something going very wrong is there and should not be repeated in another ten years. However, I think that China is about to enter a consolidation stage after this transition with a vengeance just as I am expecting the USA economy to lift of after the upcoming election. These are scary thoughts but in both cases, the economic cycle has run its course and a reversal is due and also welcome. (Reuters) - The woman at the center of China's most politically explosive trial in three decades did not contest charges of murder on Thursday in a hearing that lasted just seven hours and could determine the fate of her husband, former Politburo member Bo Xilai. A formal verdict will be delivered at a later date, a court official said, recounting details of the closed-door hearing. Bo's wife, Gu Kailai, chose not to contest the charge of murdering British businessman Neil Heywood whose alleged secretive dealings with the couple fuelled a scandal exposing the intimate nexus between money and power in China's elite. The dramatic account of Heywood's death by poisoning is also likely to sound the final death knell to Bo's political career, even as sympathizers cast him as the victim of a push to oust him and discredit his left-leaning agenda. "The accused Bogu (Gu) Kailai and Zhang Xiaojun did not raise objections to the accusations of intentional homicide," the official, Tang Yigan, said after the hearing, referring also to Gu's co-accused, an aide to the family. State television showed Gu, wearing a dark pant suit and a white shirt, being led into the courtroom and being seated in the dock. She appeared to have put on weight since she was detained earlier this year. The court official quoted prosecutors as saying Gu and Zhang had killed Heywood with a poisoned drink in far southwestern Chongqing last November, after a business dispute between Gu and Heywood. Bo ruled the vast municipality until he was sacked in March just before the murder scandal burst into the open. As a result of the dispute with Heywood, Gu had become convinced Heywood was a threat to her son, Bo Guagua, the official said without elaborating. Courtroom observers quoted by the Washington Post said prosecutors alleged Heywood had threatened in an email to "destroy" Guagua, and demanded money from him after a botched commercial property deal - a threat duly conveyed to Gu. Bo Guagua told Reuters in an email that he could not "comment on any of the details" of alleged transactions with Heywood. "I can disclose there is no such thing as either possessing or transferring 130 million pounds," Guagua said, referring to the value of the soured deal that prosecutors said Heywood and Guagua were involved in. "Gu Kailai believed that Neil Heywood had threatened the personal safety of her son Bo and decided to kill him," the official added, reading from a statement to a packed news conference of dozens of reporters who had been barred entry to the courtroom in the eastern city of Hefei. The aide, Zhang, had driven Heywood to Chongqing last November from Beijing and prepared a poison which was to be put later into a drink of water. Later that day, Heywood met Gu at a hotel, he became drunk and then asked for water. "She poured a poison into his mouth," the official said. Gu and Zhang face the death penalty if convicted. But many legal experts expect Gu will be convicted but only sentenced to a lengthy jail term, citing her desire to protect her son, who graduated from Harvard this year, as a mitigating factor. Gu's state-appointed lawyer told the court on Thursday that Heywood himself had some "responsibility in the matter", the court official said, adding that a Heywood family representative had voiced respect for the court during the hearing. In London, family members declined to comment on the case. Britain's Foreign Office also declined to comment until the outcome of the case. It said two British diplomats had attended the trial "to observe the proceedings and fulfill consular responsibilities to the Heywood family", a spokesman said. As the trial took place, police dragged two Bo supporters into an unmarked car after they appeared outside the courthouse, singing patriotic songs that were the trademark of Bo's populist leadership style and condemning the trial as a sham. "I don't believe it. This case was decided well in advance," Hu Jiye, a middle-aged man wearing a T-shirt and baseball cap, told foreign reporters at the rear of the court building, which was cordoned off by dozens of police standing in heavy rain. Hu and his friend were then shoved by plainclothes police into a car. His companion, also a middle-aged man, struggled, yelling "Why are you taking me? Why are you taking me?" State censorship of Internet chatter on the trial was swifter than normal on Thursday, with users of China's popular Twitter-like service Sina Weibo playing cat and mouse with censors to discuss the case, using word play to try and get around the controls. In sketching out the case against Gu for the first time, the court official also revealed that four Chinese policemen had now been charged with trying to protect her from investigation - a development that could prove dangerous for Bo, who has so far not been charged with any criminal offence. Police sources in Chongqing have said that the former Politburo member tried to shut down the investigation into his wife after being told she was a suspect. Bo and Gu have been in detention and have not made any comment since Gu was officially accused of murder in April. Bo's supporters see it as part of an attack on his populist brand of politics in Chongqing, which appealed to many of the party's leftists but was seen as dangerous by his enemies in Beijing. Gu, herself a career lawyer, was defended by a state-appointed lawyer with meager experience in criminal cases. The state decided who was to represent Gu, denying her the use of a family lawyer - a move that prompted Gu's 90-year-old mother, Fan Chengxiu, to recently complain to the Justice Ministry, according to a source close to the family. "The answer (from the ministry) was that the legal process did not have to be fully carried out in this case and that Fan should stop pestering them," the source said. The trial of Gu, glamorous daughter of the ruling Communist Party aristocracy, is the most sensational since the conviction of the Gang of Four more than 30 years ago for crimes during the 1966-76 Cultural Revolution. But despite British calls for the case to be handled fairly and to unearth the truth around Heywood's death, her defense was entrusted to two provincial lawyers. The two lawyers, Jiang Min and Zhou Yuhao, could not be reached for comment but a search of public information showed the more senior attorney, Jiang, is a specialist in financial cases and that neither has any obvious connection to the Bo family. Bo and Gu's son, who is believed to be still in the United States after graduating from Harvard this summer, told CNN in an e-mail that he had submitted a witness statement to the court. "I hope that my mother will have the opportunity to review them," added Bo Guagua. "I have faith that facts will speak for themselves." The trial and sentencing of both Gu and Zhang are widely seen as a prelude to a possible criminal prosecution of Bo, who is being detained for violating party discipline - an accusation that covers corruption, abuse of power and other misdeeds. Bo, who was a favorite of party leftists by promoting himself as a friend of the poor and an enemy of corruption, was sacked as Chongqing party chief in March after his police chief, Wang Lijun, identified Gu as a suspect in Heywood's death. On Thursday morning, there was no sign of Gu's elderly mother, nor of any members of Heywood's family in or around the courtroom. The murdered British businessman Neil Heywood knew too much—and apparently talked about what he knew. That, according to a source familiar with the matter, was the motive for his being killed. Heywood’s involvement with former Chinese Communist Party heavyweight Bo Xilai and Bo’s wife Gu Kailai was far more extensive than has previously been reported. It apparently included profiting with them from the atrocity of forced live organ harvesting and from allegedly trading in dead bodies. It also involved his assisting them in plans for a coup. Heywood was found poisoned to death in the Lucky Holiday Hotel in the central-western megalopolis of Chongqing on Nov. 14, 2011. On April 10, Gu Kailai and her employee Zhang Xiaojun were reportedly in custody as suspects in the murder. Gu was originally described by state-run media as having murdered Heywood due to disagreements about financial matters. On July 25, in its first comment on the matter since April, the regime mouthpiece Xinhua elaborated on this motive: as a result of the disagreements over business matters, it was said Gu feared Heywood would harm her son, Bo Guagua, and so decided to murder the British businessman. Heywood was certainly involved in the Bo family’s business dealings—he helped them move the billions Bo and Gu had acquired through various deals inside China to accounts outside China. But Heywood’s involvement went far beyond moving money offshore. Heywood’s involvement with Bo and Gu goes back to their time in Dalian City in northeastern Liaoning Province. Bo was mayor of Dalian City when the persecution of the spiritual practice Falun Gong began in July 1999, and he advanced his career by becoming an early and fervent supporter of this campaign. First Dalian City, and then Liaoning Province, became hellish places for Falun Gong practitioners after Bo became governor in 2000. According to reports compiled by the Falun Gong website Minghui, Liaoning Province during Bo’s time as governor had the fourth highest number of deaths of Falun Gong practitioners due to torture and abuse among China’s 33 provinces and province-level cities. In April 2006, The Epoch Times first reported on the crime of forced, live organ harvesting in China with detailed stories about a hospital in Sujiatun, a suburb of Liaoning’s capital, Shenyang City. At the time the forced, live organ harvesting was first discovered, there were five different websites in Liaoning Province advertising organs for transplantation, with prices listed—a new heart cost US$180,000, a new cornea US$3,000. The largest such enterprise was in Shenyang City. The organ harvesting from Falun Gong practitioners had started soon after the persecution began. Canadians David Kilgour, former Canadian secretary of state (Asia-Pacific) and crown prosecutor; and David Matas, an international human rights lawyer, investigated the allegations of organ harvesting and published the report “Bloody Harvest” (later to be a book) in July 2006. They claimed that in the years 2000–2005 41,500 transplants took place in China for which the most likely source of the organs was Falun Gong practitioners. Allegedly Heywood was involved with Bo and Gu in the business of organ harvesting in Liaoning, according to The Epoch Times’ source, and this is what sealed his death warrant. Heywood had begun leaking information about their involvement in this atrocity. Heywood was also allegedly involved in the trade of dead human bodies. Beginning in 2000, two factories opened in Dalian that preserved human bodies for exhibition purposes. In 2003, “The Oriental Outlook Magazine,” an affiliate of state mouthpiece Xinhua, reported that in 2003 China had already become the country exporting the largest number of human corpses, and that one of the companies in Dalian City was the largest human body mummification factory in the world. Earlier this year, The Epoch Times obtained reliable information from Dalian City that the vast majority of bodies made available to the mummification factories were murdered Falun Gong practitioners. Chinese law prohibits the trading of human bodies except in certain circumstances, and Bo and Gu were in a position to ensure the companies could receive any paperwork necessary to profit from these bodies. Colluding with high-ranking officials in the Political and Legislative Affairs Committee (PLAC), such as former Party secretary of the PLAC Luo Gan, Gu and Bo took advantage of loopholes in Chinese law and prevented family members of Falun Gong practitioners who had been tortured to death from claiming the bodies (and the information obtained by The Epoch Times did not indicate that the companies were aware of the origin of the bodies). Instead, public security bureaus and courts collected the bodies and sold them at a high price to the mummification factories. From there the bodies were shipped to museums around the world for exhibition, generating billions of dollars each year. Gu Kailai was a mastermind in financial management, international and domestic online advertisement, and the opening up of export channels for organ and human body trafficking. According to The Epoch Times’ source, Heywood assisted Gu. The Epoch Times has written exclusive reports regarding how Bo Xilai, domestic security czar Zhou Yongkang, and other members of Jiang Zemin’s faction had set up a second power center in the CCP based on the PLAC, which they intended Bo to assume control of at the 18th Party Congress this October. When the time was ripe, Bo would displace Xi Jinping, expected to be named Party head of the CCP at the upcoming congress, and assume the rule of China. However, the plotters didn’t expect the flight of Bo’s former henchman Wang Lijun to the U.S. Consulate in Chengdu on Feb. 6, which exposed and destroyed their entire plan. According to The Epoch Times’ source, Gu played an important role in this plan. 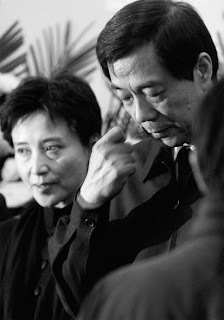 After Gu was arrested, to escape the death penalty she revealed Bo Xilai and Zhou Yongkang’s plans to overthrow Xi Jinping. She also admitted that she was the contact person between Bo Xilai and Zhou Yongkang. Gu claimed that under orders from Zhou and Bo, she conducted operations overseas to bribe foreign media and use them to release announcements in order to boost the political status of Bo and Zhou, while attacking and slandering Xi Jinping. She viewed Heywood as a trusted aide, and he helped with activities outside China and knew about Zhou Yongkang and Bo Xilai’s coup plans. Gu goes on trial for Heywood’s death Aug. 9 in Hefei City, Anhui Province. Analysts do not expect any new information about Heywood’s murder to come out of that event.